FIBERLOGY Easy PLA grey is a filament that you will get very good quality of prints, and avoid problems when printing. 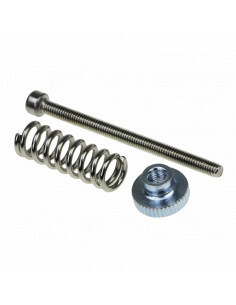 20 pieces M5 slide nut enable you to fasten screws onto 2020 aluminum extrusions. NOCTUO PLA green 0,25kg (polylactide) is one of the most popular and most commonly used materials in 3d printing. It is odorless and biodegradable. Example photo of filament collor. Spool 0,25kg is smaller than in the picture. Thermoplastic elastomer with hardness 40D in Shore scale, which can be printed at speeds up to 45mm / s. This gum-like material can be extended up to 680% of its original dimensions. 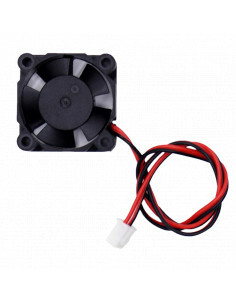 Fan 3010, the ideal fan for cooling the printer head and other components that requiring cooling.